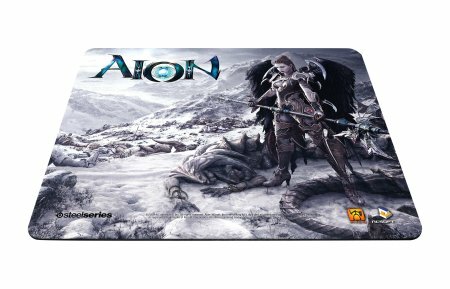 In order to complement your SteelSeries Zboard Limited Edition Aion Keyset, why not get the SteelSeries QcK Limited Edition Aion Asmodian Mousepad as well? This mousepad ensures your mouse will never perform an unnecessary click thanks to high-quality cloth material used that offers a precise, consistent glide while its specially designed non-slip rubber base makes sure you won’t suffer from a mistimed click during more frenzied gaming moments due to the pad sliding from the surface it currently resides on. Thoroughly researched, designed and tested by professional players, you can be sure the $14.99 you fork out for the SteelSeries Limited Edition QcK Aion Asmodian Mousepad ought to offer good value for more than just the Aion-based game, eh?